SI Precast offers a wide variety of wastewater products for both commercial and residential applications. We are committed to providing you with top quality products and excellent service. The expert staff in our commercial wastewater division can assist you in finding the solutions for your situation. Our on-site wastewater division stays on the cutting edge of technology by employing knowledgeable and experienced staff who are active in local, state and national organizations. For questions about our wastewater products or services, click here to contact our Wastewater team. SI Precast Concrete has partnered with several manufacturers of aerobic treatment units to answer the ever-growing demand of regulatory agencies requiring pretreatment of effluent prior to discharging to any type of disposal system and offers a full line of aerobic treatment units from Delta Environmental Products and Norweco, all leaders in the field of aerobic treatment products. SI Precast Concrete provides residential treatment units that are certified NSF/ANSI Standard 40 Class I.
SI Precast also offers two different processes for the treatment of effluent. One process is the extended aeration mode of activated sludge. This process is often referred to as a suspended growth process. The other process is referred to as attached growth or fixed film. In this process, conditions are favorable only to attached growth bacteria, therefore, no mixed liquor suspended solids, which are common in an activated sludge process, are produced. These products are driven by individual market demand. SI Precast Concrete has made it our priority to provide the appropriate product in any of the markets in which we do business. AQUAworx is a new division of Infiltrator Systems Inc, a 20-year world-wide leader in the onsite wastewater industry. AQUAworx offers advanced solutions for the onsite wastewater treatment industry with the AQUAworx Remediator and the AQUAworx Intelligent Pump Control (IPC) Panel. The fastest growth segments in the onsite wastewater industry is advanced treatment. The trend has been driven by the scarcity of easily developed land and the increased need for clean water. The AQUAworx goal is to elevate the acceptance of the advanced treatment market by leveraging sales and distribution network with new cutting-edge technologies. The AQUAworx team is looking forward to helping drive innovation for a greener tomorrow. The original floatless pump control technology. Designed specifically for the onsite industry, the IPC Panel leverages simple pressure transducer technology for accurate pump system control and data logging, allowing enhanced performance and monitoring capabilities. The panel also offers timed dosed technology. Wastewater is distributed in smaller, evenly spaced doses over a 24 hour period, thereby promoting unsaturated flow through the soil. The non-invasive solution for malfunctioning septic systems. Once introduced into the existing septic tank, it can reverse the biological clogging process in the disposal field in as little as two weeks. SI Precast offers a wide variety of wastewater collection and treatment products for commercial applications. We have expert staff in our commercial wastewater division to walk you through the options that fit your unique situation. We are able to accomplish this by partnering with many different manufacturers to provide several options for treatment. You can link to information on partners such as Delta Environmental who can provide packaged wastewater treatment plants, the POD Series, and collection options. We have also successfully installed the Norweco Modulair extended air treatment plant in several communities. These systems can treat from 3,000 to 100,000 gallons per day. Another partner, Knight Treatment Systems, offers a product that can be used in commercial applications. The White Knight is best known for its ability to reclaim sand filters that are plugged due to biomat. We also handle a full line of recirculating sand filter components. By partnering with these companies we are able to bring years of experience and engineering to the table. SI Precast is “YOUR TOTAL WASTEWATER SOLUTION”. Need the Commercial Tank Shop Drawing? Click here. 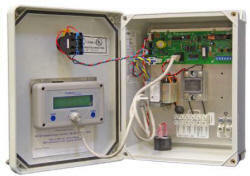 SI Precast carries a full line of floats and control panels to suit your wastewater needs. Need to print this information? Click here. SI Precast carries a full line of GeoFlow Subsurface Drip Systems to suit all your wastewater needs. SI Precast Concrete offers a complete line of Infiltrator products. Infiltrator is the world’s leading manufacturer of plastic leach field drainage chambers for environmental onsite wastewater solutions. Infiltrator chambers are a direct replacement for stone and pipe leach fields and have revolutionized the septic industry. 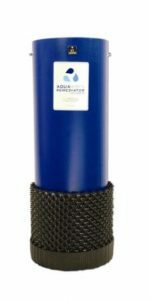 Infiltrator chambers provide a cost effective, efficient method for handling residential and commercial wastewater. Infiltrator Systems are approved in all 50 states and all 10 Canadian provinces with up to a 50% smaller footprint as compared to stone and pipe systems. There are over 1.5 million Infiltrator systems installed and more than 27 million units in-ground in the United States and 24 other countries. Infiltrator has stood the test of time with a history of performance since 1987. 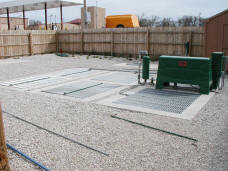 One in four septic systems in the US is an Infiltrator chamber system. SI Precast is committed to delivering top quality wastewater products and excellent service. We achieve these goals by providing septic tanks that are manufactured in a controlled environment ensuring consistency and quality. All of our products are made from 5,000 # psi concrete (stronger than similar products). We have a diverse inventory of forms to fit almost any application you may encounter in the field. 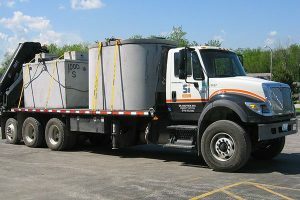 Scheduled, on time delivery is accomplished with our fleet of trucks ranging from our services trucks to large knuckle boom trucks with pup trailers. Our onsite wastewater division stays on the cutting edge of technology by employing quality staff and being active in local, state and national organizations. We take time to listen to our contractors and regulators so we can provide YOUR TOTAL WASTEWATER SOLUTION. SI Precast has pumps to suit all your wastewater needs. Other pumps are available. Please call for details. SI Precast Concrete septic tanks are manufactured with 5,000# psi concrete and reinforced with steel for strength and durability. Single tank, dual tank and low pro septic tanks available. Grease traps, custom castings and commercial systems are also available. SI Precast has all your wastewater accessories including grommets, filters, valves, distribution boxes, orifice shields and pipe.